Live life on a boat as we explore one of the most remote national parks in the NPS. 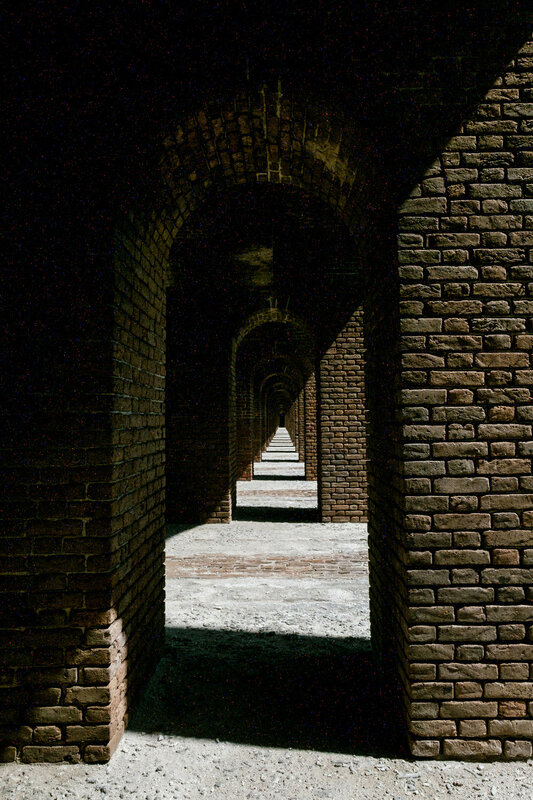 The sights on Fort Jefferson—the most ambitious and extensive coastal fortification in the United States, located in Dry Tortugas National Park—are absolute wonders to photograph. And all this in the darkest skies on the east coast, 70 miles from Key West into the Gulf of Mexico. The workshop began at 10 a.m. on July 27 and ended after our group slideshow at the Key West Art and Historical Society’s Custom House on the evening of July 30. Produced in collaboration with the Key West Art & Historical Society and Dry Tortugas National Park/Eco-Discovery Center. 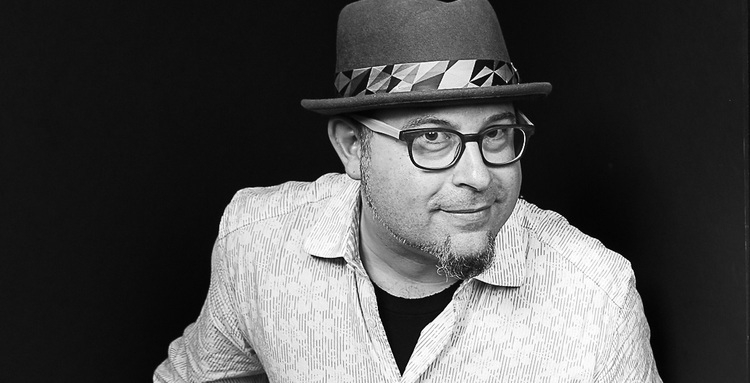 This will be a unique three-night, four-day full-immersion workshop. 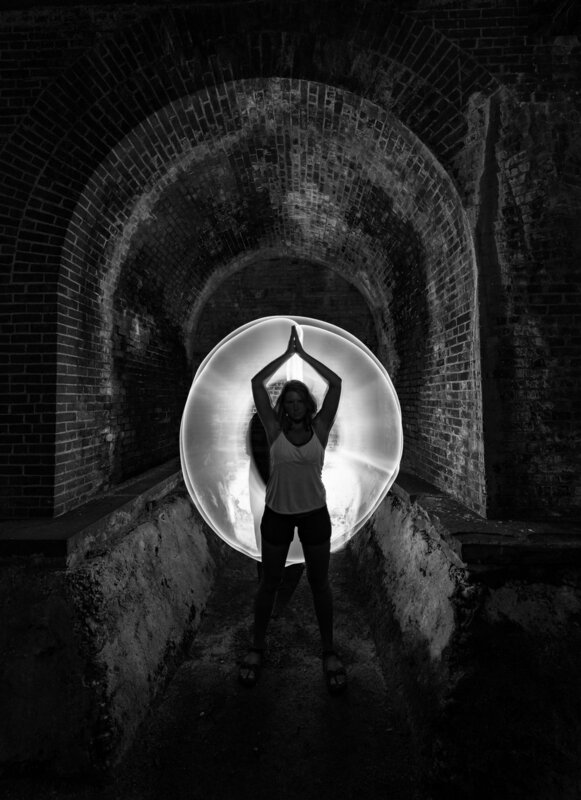 Not only will we learn night photography but we will also explore old Key West, sail the open seas, swim or snorkel colorful coral reefs, and stand atop massive Fort Jefferson. We are fortunate to have access to the park during the day, but we also have very rare admittance to Fort Jefferson at night. 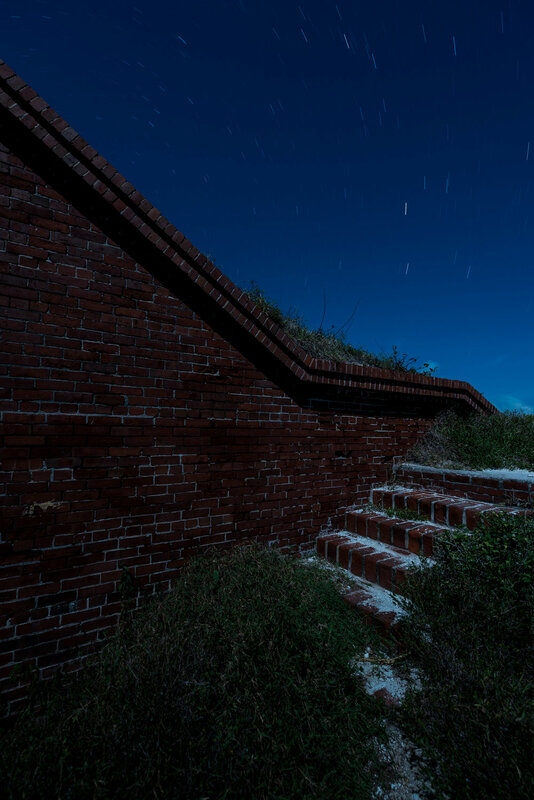 Our main nocturnal photographic subject will be the historic fort, which was constructed between 1846 and 1875. More than 16 million bricks were used and over 2,000 arches can be found as you walk around this dominating fortress. These will create lots of opportunities for fun with light and shadows. 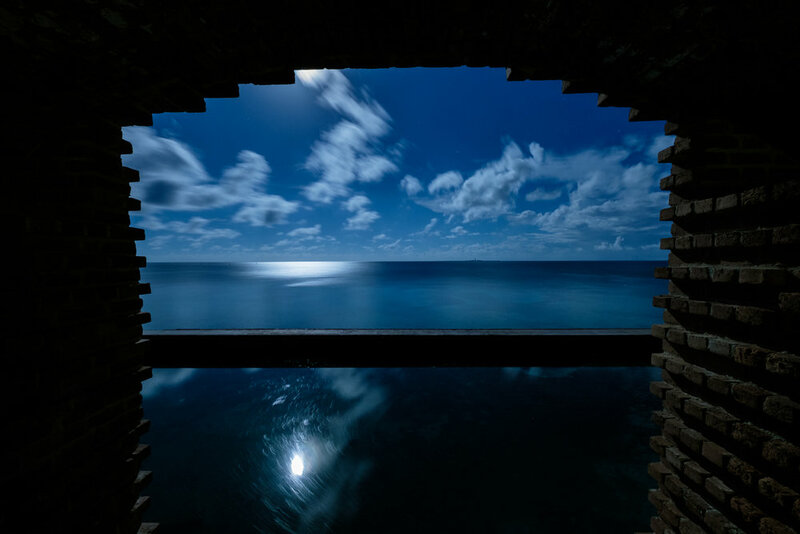 The night skies are absolutely brilliant in Dry Tortugas. We will be 70 miles away from Key West and any city light pollution. There is a lighthouse on Garden Key and one on Loggerhead Key—other than that, it will be us and the stars. We specifically scheduled the workshop for just after the new moon and during peak Milky Way season. Weather permitting, we should be able to see and capture the Milky Way from 10 p.m. to 2 a.m. The workshop is limited to 9 participants. Fair warning - it will be hot and humid. Average temperatures in July tend to be 89 degrees Fahrenheit during the day and mid-70s at night. When you add in the humidity and heat index, it could definitely feel like 100 outside during midday. The boat has air-conditioned rooms and we plan on doing any lectures and critiques during the peak sun times inside the boat’s amenities. We chose to offer this workshop in July because the seas are calmer than in the cooler winter months and the galactic core of the Milky Way is more dramatic. The boat has air-conditioned rooms and we plan on doing any lectures and critiques during the peak sun times in that AC. We strongly recommend bringing a hat(s), sunglasses and sunscreen. Walking around Garden Key and Fort Jefferson is quite easy and we recommend comfortable shoes or hiking sandals. The first and last nights of the workshop take place in Key West. You will need to book one night of lodging for July 26 and one night for July 30. You will also be responsible for all your meals on July 26 and 27, and for dinner on July 30. The two ways to stay on Garden Key overnight are primitive camping or a boat. It is difficult to avoid the heat and early mornings in a tent, so we chose the comfort of a boat. Your stay on the boat will include fully catered meals prepared from the finest quality produce and meats, and probably the freshest seafood you can get! The 60-foot M/V Playmate has a crew of three (captain, mate/relief captain and chef), plus air-conditioned rooms fully stocked and supplied with linens and pillows for all the beds. The two bathrooms have showers with all the amenities. There are four rooms that can accommodate two, three and four people. Most of the beds are bunk beds, which means you will be sharing a room. The dining room/common room will be converted into our meeting and lecture/review room for approximately two to three hours during the hottest part of the day. The boat ride from Key West to Dry Tortugas is 7.5 hours. After our shoot in Key West on Thursday, July 27, we will sleep on the M/V Playmate. The boat will start the return journey in the early morning, while we are still sleeping. So … Who is ready for an incredible sea adventure? You are responsible for your airfare and car rental. If you are interested in sharing a car rental, let us know and we will try to connect you with someone like-minded in the group. Gabe’s tip: I prefer to fly into Miami and then drive the incredibly scenic and historic 113-mile Overseas Highway (Route 1). No vigorous activity will be required, but please consider your physical abilities in hot weather prior to registering. If you drive as far south as you can in the United States, you will eventually arrive at Key West. There is an amazing “end of the world” vibe down here. There is a reason why both pirates and poets have flocked here for years. The sunrises and sunsets are spectacular and the people are just as warm as the temperatures. I chose to make the 3.5-hour scenic drive down from Miami on my first visit. 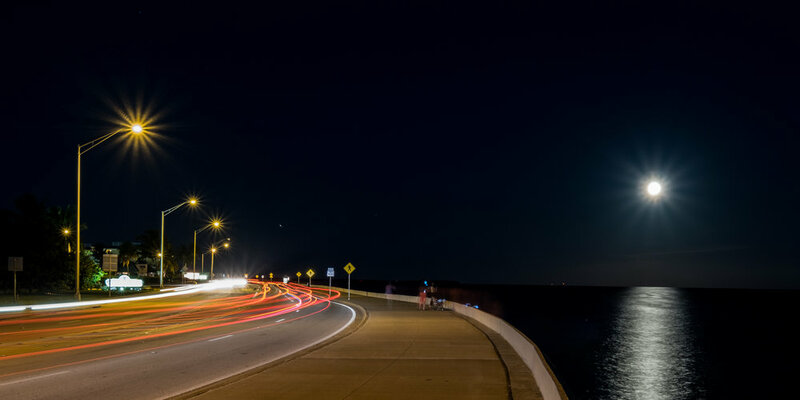 The Overseas Highway is a marvel of engineering as it connects the mainland to the Florida Keys. Over 113 miles of pavement and 42 overseas bridges helped me leapfrog from key to key, and with each jump I became both more relaxed and excited. The Keys just have that effect on you. 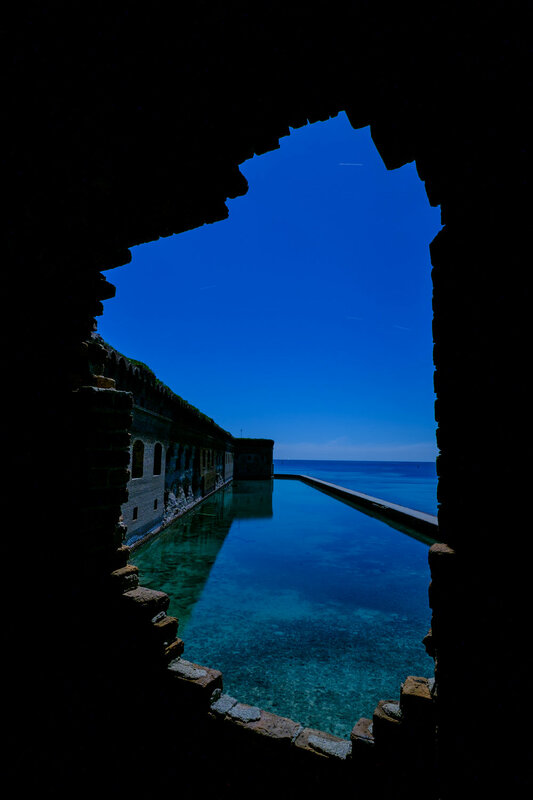 In a region with many treasures, the one that beckons far past the horizon—Dry Tortugas—can yield the most satisfying reward. On our boat ride out, we were given an overview of the islands and the 19th century fort. Our first glimpse was a small red blip that interrupted the perfect blue horizon. There was nothing else to see in any direction except this now imposing marvel of engineering. How could this even have been built and survive the thousands of storms that have crashed against its walls? Instead of walking through the massive entrance, I was drawn to the walkway and moat that surround the entire fort. At certain points along my journey around the “road,” if I bent down low enough, that concrete path seemed to go on forever into the horizon. The exterior revealed so many stories and compositions that it took me over an hour to meander around the perimeter. I set about scouting the interior, from the grounds to the top of the ramparts—and the many windows and arches in between! There were so many strong compositions everywhere you looked that I knew it was going to be an all-nighter! 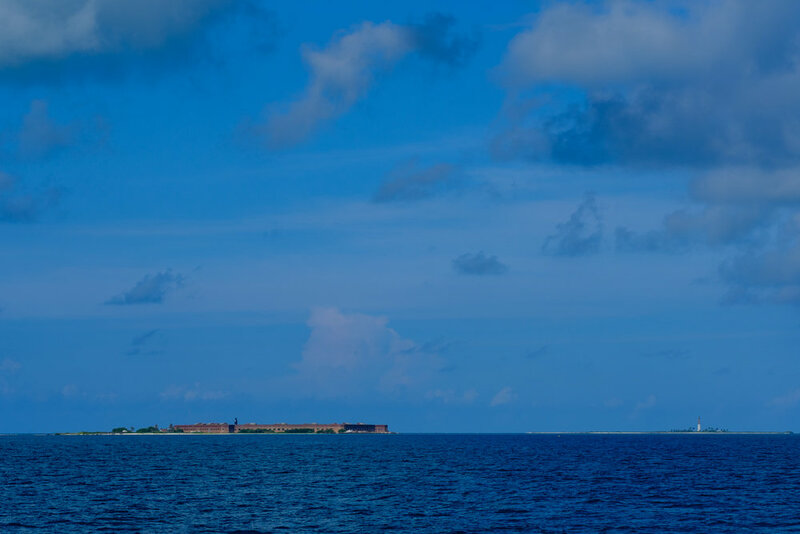 Ninety percent of the people who visit Dry Tortugas leave with the boat at 3 p.m. the same day they arrive. I was there with 10 to 15 campers and staff. To have this island to ourselves at night was beyond exhilarating. We all realized that we were experiencing something that very few people have done and I wanted to never leave this place. It was a full moon on my visit, which made it almost as bright as day. I set up one camera on the exterior walkway to rip a 1-hour exposure and then went to explore the second-level structures. Open brick windows revealed the dreams of blue water for miles and miles. The moonlight was so bright, it actually frustrated me as too much was revealed. For such a surreal place, the images were looking too normal. I knew if we came back it would need to be around a new moon. To photograph the Milky Way through one of the windows would be amazing, and the texture in the brickwork is just asking to be painted with light. The night ended far too soon on my maiden voyage to Dry Tortugas. I’ve never left a place so reluctantly; it was like being invited to a castle but staying in only one room. We immediately set into motion what has now become this adventure of a lifetime and it couldn’t have happened without the support from our friends at the Key West Art & Historical Society and Dry Tortugas National Park/Eco-Discovery Center. July 27: Class at Key West Art and Historical Society Custom House from 10 a.m. to 4 p.m. with a lunch break. Night shoot at Fort East Martello and one other surprise location. Board boat around midnight. July 28-29: On the boat, all meals provided, lecture/critique from noon to 2 p.m. every day. 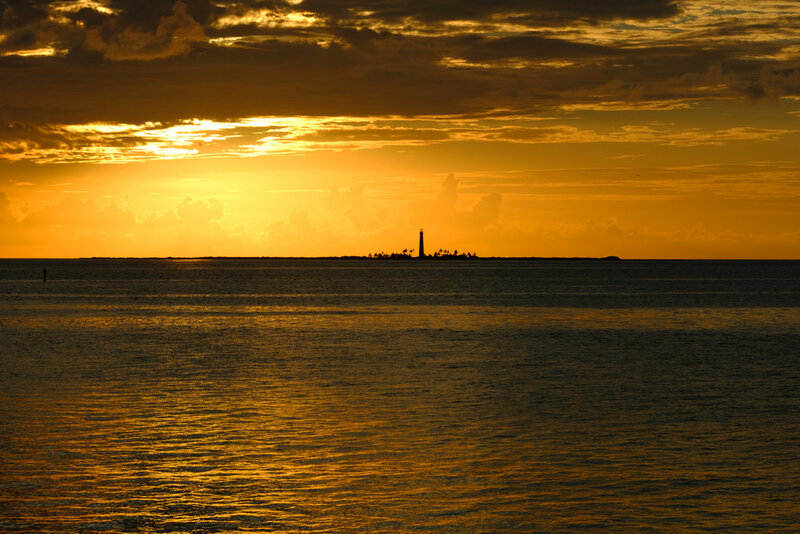 Otherwise, explore the island during day and shoot every evening from 7 p.m. to roughly 2 a.m.
July 30: Slow boat back to Key West. Students will be working on images for presentation at the Custom House on the boat ride home. Arrive 3 p.m. Show at 6 p.m. Farewell dinner around 8 p.m. This is a very hands-on and small workshop that we are limiting to nine adventurous people. The emphasis will be on honing your night photography skills and making you more comfortable with creating spectacular night photographs. On the ride to the island, we will give you feedback on your current night portfolio as well as challenging you to experiment and push your night visions. There will be lots of light painting opportunities and of course we will play with the stars as points and trails, and with the night panorama. Optional: Bring an underwater camera as well! The snorkeling is spectacular just a few feet from the fort. Plus, a good swim will be a pleasant reprieve from the hot and humid weather. Sunset 8:18 p.m. 8:18 p.m. 8:17 p.m.
Civil Twilight 8:18 p.m. 8:18 p.m. 8:17 p.m.
Nautical Twilight 8:43 p.m. 8:42 p.m. 8:42 p.m.
Astronomical Twilight 9:12 p.m. 9:12 p.m. 9:11 p.m.
Moonset 11:38 p.m. 12:15 a.m. 12:52 a.m.
Visibility of Milky Way Galactic Core 9:43 p.m.-3:56 a.m. 9:42 p.m.-3:53 a.m. 9:42 p.m.-3:53 a.m.